Macau had nearly 3.43 million tourist arrivals in January, a 24.9-percent jump in year-on-year terms, according to official data released on Tuesday. The statement posted on the website of the Macau government Statistics and Census Service said the city nonetheless had 4.1 percent fewer tourist arrivals last month compared to December. The volume of tourist arrivals is sometimes regarded as an indicator of the health of business at Macau’s casinos. But investment analysts have often said there is not necessarily a direct correlation between the number of arrivals and the amount wagered in casinos because only a few of the visitors are the high rollers and premium mass players that bet in high multiples and contribute the majority of the city’s annual gaming revenue. The statistics bureau said more than 1.78 million day-trippers visited Macau last month, 41.8 percent more than a year earlier. Each stayed, on average, 0.2 of a day or about 4 hours and 48 minutes, the same duration as recorded in the year-prior period. Day-trippers made up 52.1 percent of all visitors to the city in January, having accounted for 45.9 percent a year earlier. Visitors of all types stayed, on average, 1.2 days in January, 0.1 of a day fewer than a year earlier. The number of people that stayed at least one night rose by 10.7 percent to more than 1.64 million tourists. The average for overnighters was of 2.2 days, 0.1 of a day longer than a year earlier. The number of mainland Chinese visiting the city rose to nearly 2.51 million in January, 29.9 percent more than a year earlier. Arrivals were primarily from Guangdong province (1.14 million), Hunan province (about 98,000 people) and Fujian province (about 79,000 arrivals). The number of mainland tourists that visited as individuals rather than as members of tour groups rose by 45.2 percent to more than 1.3 million. Tourist arrivals from South Korea rose by 1.6 percent to 99,463 people, the number from Hong Kong rose by 21.7 percent to 533,740 people and the number from Taiwan rose by 3.9 percent to 86,860. The opening in October of the Hong Kong-Zhuhai-Macau Bridge has given visitors to Macau a fresh travel route whether arriving from Guangdong, elsewhere in mainland China, from Hong Kong or from overseas. There were 443,908 tourists that used the road bridge to enter Macau last month. By comparison, the number of arrivals by sea fell 35.1 percent year-on-year, to 583,542 people. While the opening of the Hong Kong-Zhuhai-Macau Bridge has been viewed by a number of investment analysts as a plus for the casino and tourism sectors of the Macau economy, there are questions over the effect it has had or might have in future on casino gross gaming revenue. The type of traveller using the bridge is an important factor for Macau’s casino operators. 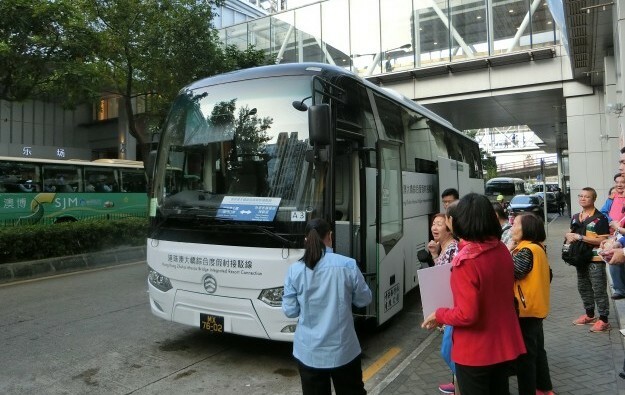 The mainland authorities have reportedly been discouraging short-duration trips from Guangdong province to Macau in favour of sorties lasting two days or more. Macau’s tourism officials have invested heavily in marketing campaigns and other forms of promotion designed to increase a tourist’s length of stay, as research indicates length of stay is directly and positively correlated to the amount they spend while in the city.